GET PLASTIC OUT OF YOUR HABIT, AND DIET TOO! June is a month to celebrate! People around the globe celebrated the decades-long World Environment Day on June 5 and the World Oceans Day on June 8, and itâ€™s also the National Oceans Month of the USA. Earth has been a giving planet. Nature gives us oxygen, food, water and all other resources that are vital to our survival. But then we take more than what we need; we extract resources so we live a more comfortable life and can literally get what we want. And out of convenience, we produce single-use plastics that help us for maybe 30 minutes, but they remain on Earth for decades or even centuries before the natural environment could decompose them. Can our Earth take this? Plastic pollution has become a serious environmental issue globally. Every year, at least 8 million tonnes of plastic is leaked into the ocean, and that is equivalent to the contents of one garbage truck being dumped into the ocean every minute. In February 2017, The United Nations Environment Programme has launched a global campaign, Clean Seas campaign, to urge everyone to eliminate the use of microplastics and stop the excessive, wasteful use of single-use plastic, to save the worldâ€™s seas and oceans from irreversible damage before itâ€™s too late. OPCFHK Fundraising Ambassador Mr. Aaron Kwok, schools and restaurants joining us on No Straw Day. Don't forget to say "No Straw, Thanks!â€ when ordering iced drinks. Plastic straws are one of the top ten contributors to marine debris. 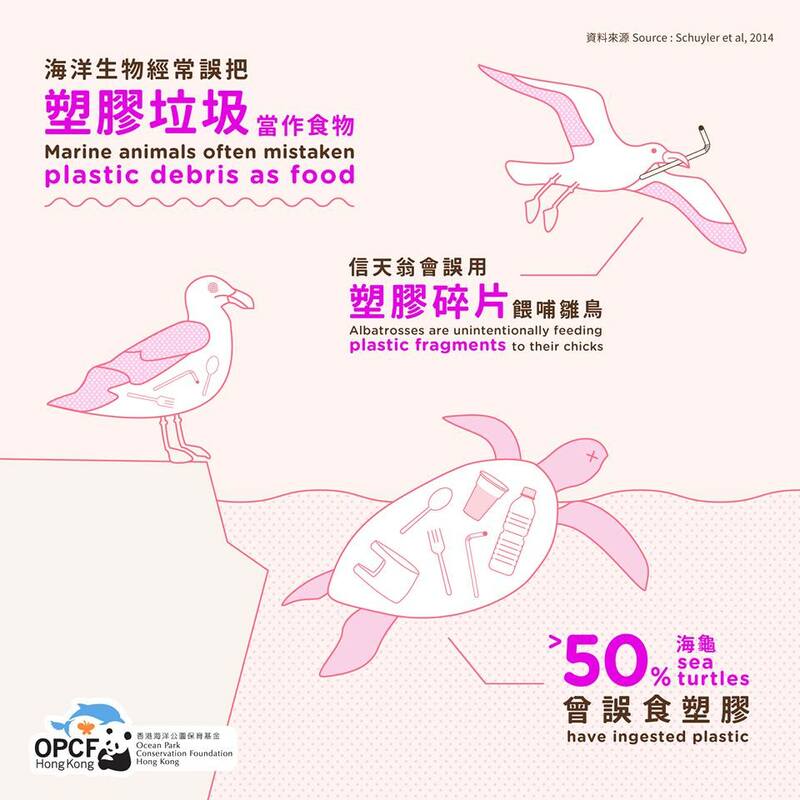 This May, OPCFHK conducted a survey to understand the behaviour of plastic straws consumption in Hong Kong. The survey result showed that the 1,000 respondents, aged 15-59, on average use 6.75 plastic straws a week. 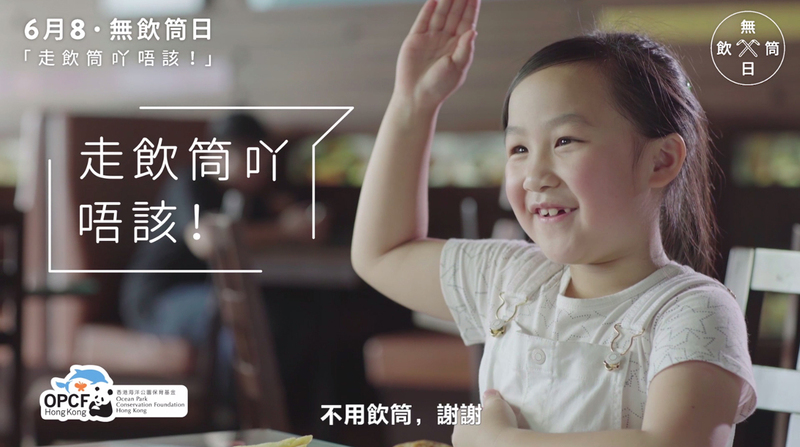 If the same applies to the rest of the Hong Kong population within the same age group, that is equivalent to the use of 1.7 billion plastic straws per year. 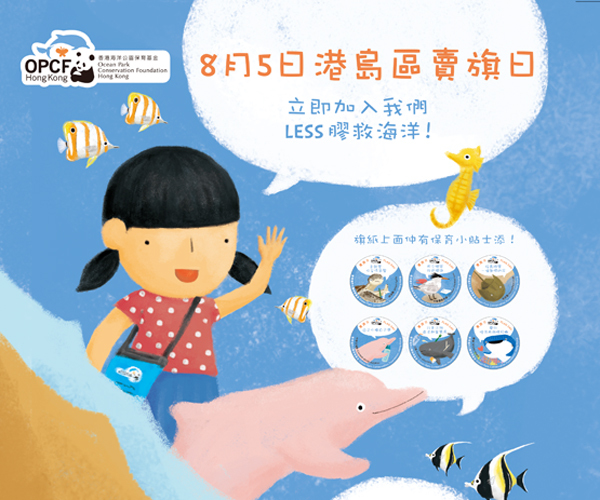 On June 7, our Marine Conservation Ambassador Ms. Gigi Leung set sail to Aberdeen typhoon shelter to experience how marine debris is affecting our oceans. 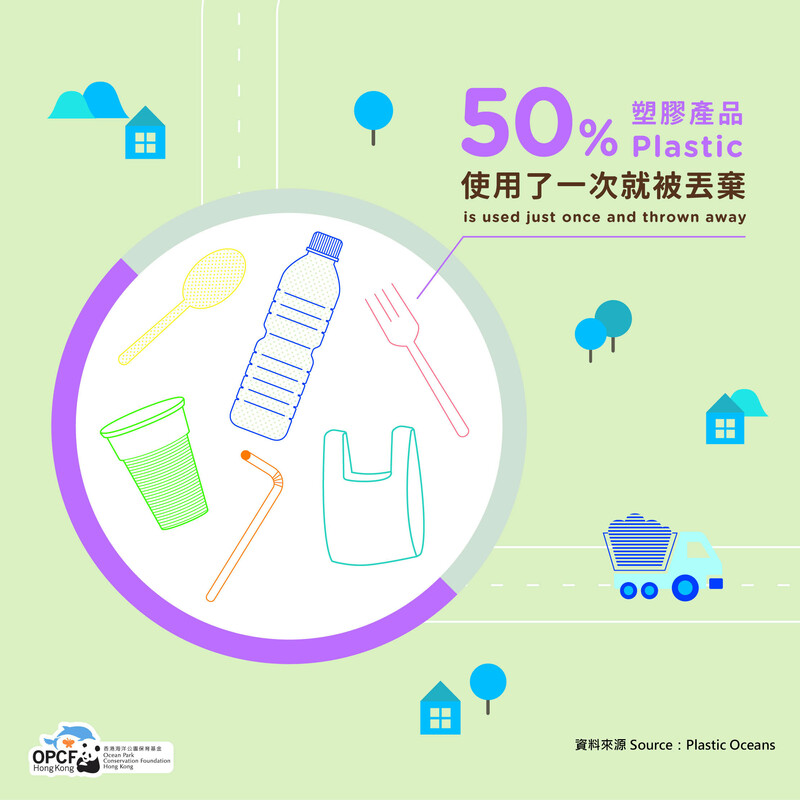 As straws often end up in the oceans and can damage fragile ecosystems if not disposed of properly, OPCFHK designates June 8 World Oceans Day as â€œNo Straw Dayâ€ to encourage individuals to reduce their plastic straw usage. On that day, over 600 restaurants under 53 entities from corporations and schools did not offer straws unless upon request. Watch our video to know why out of sight doesnâ€™t mean out of mind. Letâ€™s go beyond the day and build a plastic free habit! When we advocate for environmental protection, we hope to get your understanding that itâ€™s for our next generations and that our children deserve to enjoy a world as biologically-diverse as ours. Have you ever thought that itâ€™s also our health that we need to worry about? The term â€œmicroplasticsâ€ is widely used to describe plastic particles with the size smaller than 5 mm. 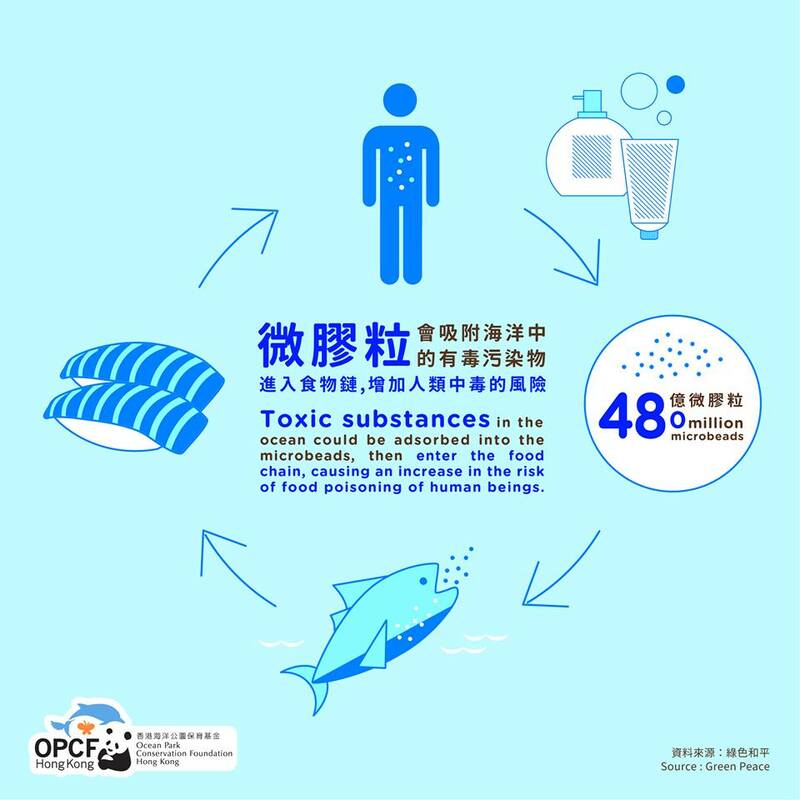 As they enter the ocean as a result of poor plastic waste management, they bring in more toxins from land and continue to adsorb organic pollutants including DDT and PCBs from the sea. 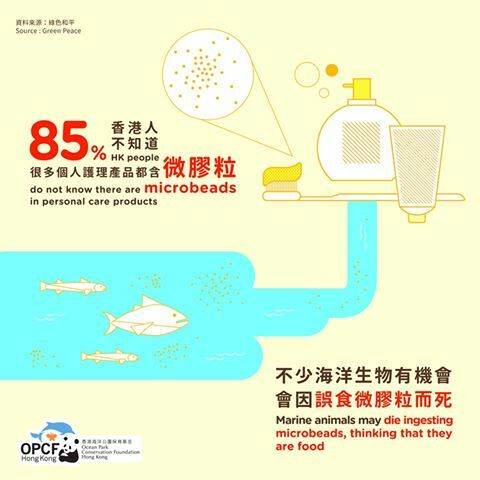 Because fish may mistake microplastics for fish eggs, the pellets may cause slow starvation due to gastrointestinal obstruction, whilst the pollutants adsorbed by microplastics can accumulate in the food chain, posing a potential long term threat to the environment or even our health. Marine organisms including zooplankton, invertebrates, fishes, seabirds and whales can be exposed to microplastics through direct ingestion of water and indirectly as predators in food webs. Fish from Indonesia as well as fish and shellfish from the USA were tested for presence of anthropogenic debris. According to the report â€œAnthropogenic debris in seafood: Plastic debris and fibers from textiles in fish and bivalves sold for human consumptionâ€, plastic debris was found in 28% of individual fish composed of six species sampled from Indonesia (55% of all species tested), whilst anthropogenic debris was found in 33% of individual shellfish sampled, and 25% of individual fish composed of eight species sampled from the USA (67% of all species tested). 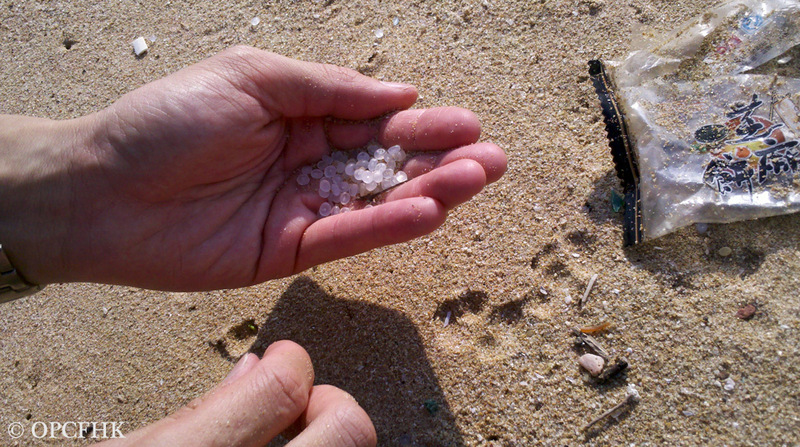 Apart from seafood, microplastics were also found in commercial salt. Result of the study â€œThe presence of microplastics in commercial salts from different countriesâ€ indicated that microplastics were only absent in one out of the 16 brands tested, and the most common plastic polymers were polypropylene (PP) (40%) and polyethylene (PE) (33.3%). Though the result did not show a significant load of microplastics larger than 149 micrometer in salts originating from 8 different countries and, therefore, negligible health risks associated with the consumption of salts, we shall not overlook the increasing trend of plastic use and disposal that might lead to the accumulation of microplastics in the aquatic environment and the products derived from it. The health impact of microplastics may take years to prove scientifically, but with the uncertainty and potential threats, why do we want our food chain be contaminated? In addition to plastic straws and microbeads, other marine debris is also threatening the health or survival of whales and dolphins. In March and April this year, we handled two special stranding cases that are found with fishing nets and fishing lines. On March 13, OPCFHK Cetacean Stranding Response Team received a call from Shenzhen Dapeng Fishery Bureau to help respond to a live stranding case. A 12 meter long sperm whale was found entangled in fishing net in Dapeng the previous day. It was disentangled and continued to swim towards the coastal area in Daya Bay of Huizhou. Our Response Team attended to the scene on March 14 and discussed options to help the sperm whale. Blowhole samples and skin samples were taken, whilst antibiotics were injected to assist. Though hearing tests and having a boat to drive it to deeper water was arranged, the operation could not be pursued as the whale stayed too close to the shore. We heard about the passing of the whale on March 16, and attended the scene for necropsy the next day. 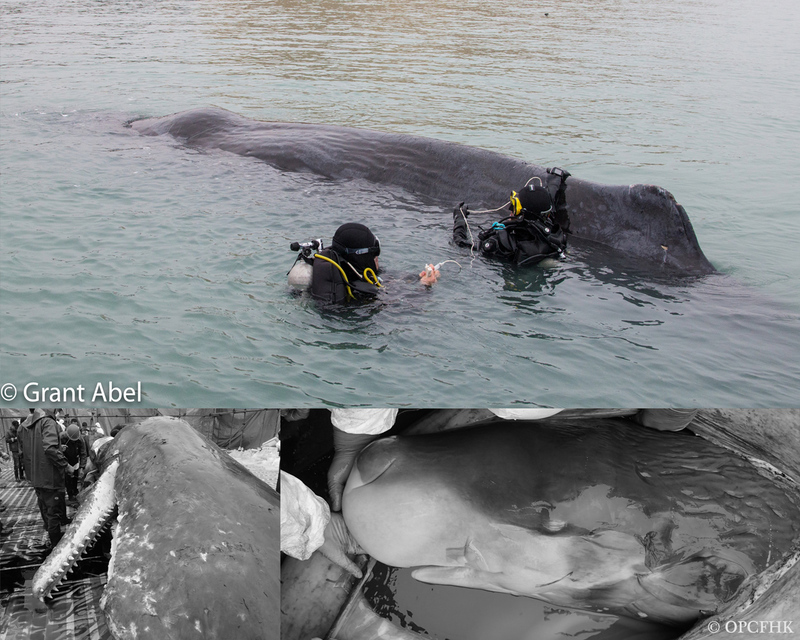 The stomach was found empty, and the female sperm whale was carrying a fetusâ€¦. Given the known history of entanglement with the additional finding of pregnancy and poor body condition, the most likely cause of death, according to our veterinarian, is prolonged entanglement leading to malnutrition/starvation, exhaustion, dehydration, and death. However, other internal disease cannot be ruled out at the moment, and the result from culture and histopathology may provide additional information. 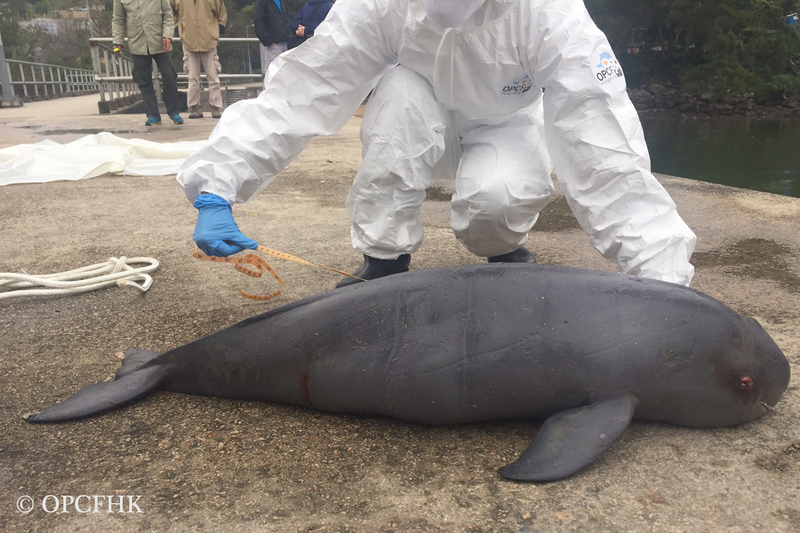 On April 22, the Team responded to a stranding of a dolphin measuring over 3 meters. Site investigation confirmed that the severely decomposed carcass was a male false killer whale. 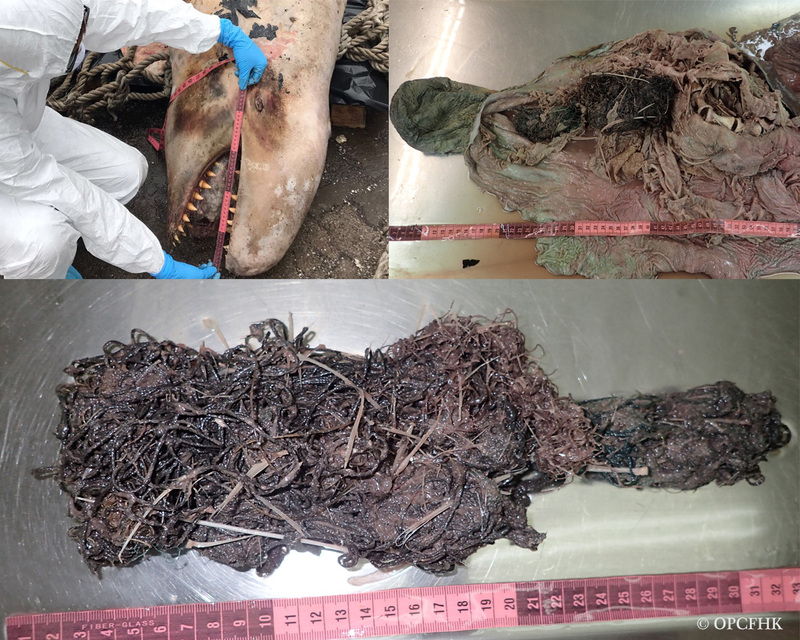 Necropsy indicated that fishing net and lining were found in the stomach, together with semi-digested food. The fishing gear has blocked part of the stomach, which has turned bad showing sign of decomposition. Lung float test confirmed that the cause of death was drowning, as water were found in the lungs causing them to sink. Sperm whales stranded elsewhere were found with plastic bags in the stomach. Though these cases are not the same, we can still see that fishing gear has played a role in weakening the whales (be it entanglement externally, or blocking the stomach) that may kill them eventually. How could we, mankind and caretaker of the Earth, just sit back and watch them suffer and die? We all have compassion. When we see injury or death of animals caused by entanglement or ingestion as they mistaken trash as food, we would feel sorry for them and be empathetic, but donâ€™t just stop there. There are a lot of actions that we can do to help them. If you cannot avoid using them, be sure to re-use many times before recycling. 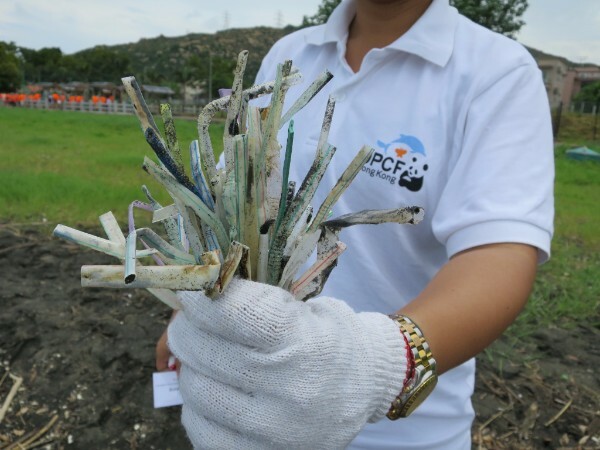 Apart from waste reduction at source, you can also go clean up mudflat and beach. When you are doing water sports or activities, remember not to use shampoo, shower gels and sun block so as to avoid untreated chemicals entering the sea. 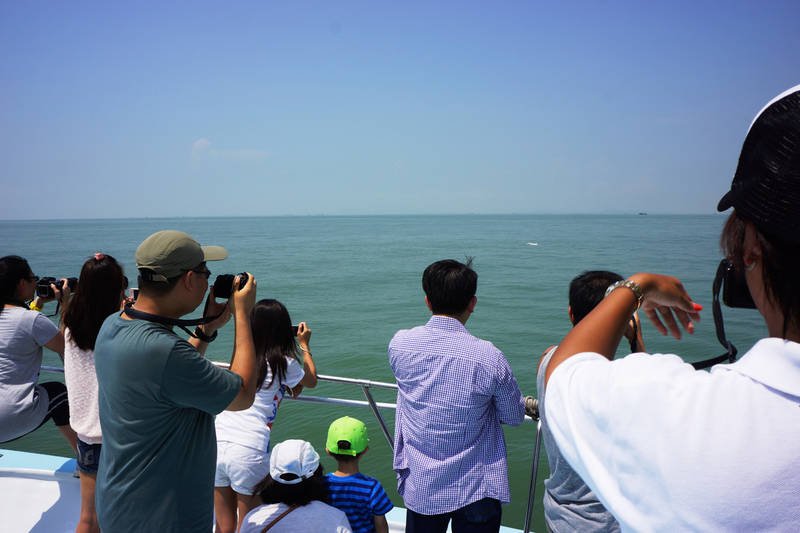 When you go dolphin watching, be sure to choose experienced dolphin-watching agencies that comply with AFCDâ€™s Code of Conduct for Dolphin Watching. When you encounter a cetacean stranding, regardless whether the animal is dead or alive, please call 1823 to inform AFCD of the following information with your contact details: date and time of the discovery and the location, status of the stranded cetacean (alive, slightly or severely decomposed) and its length and characteristics (e.g. any dorsal fins or obvious rostrum). This enables the Cetacean Stranding Response Team to do prompt follow-up. 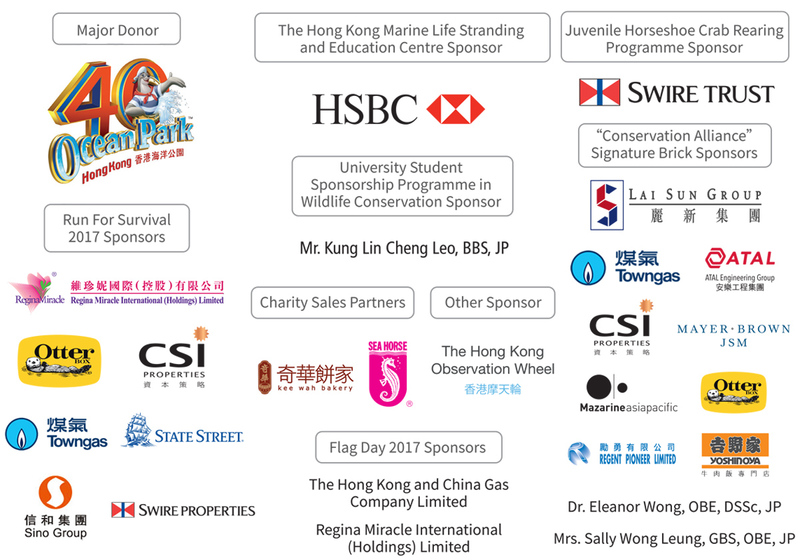 If you wish to support OPCFHKâ€™s local marine mammal stranding response and community education efforts, scientific projects of local species, or our local community education programme, please support us on our Hong Kong Island Region Flag Day on August 5. 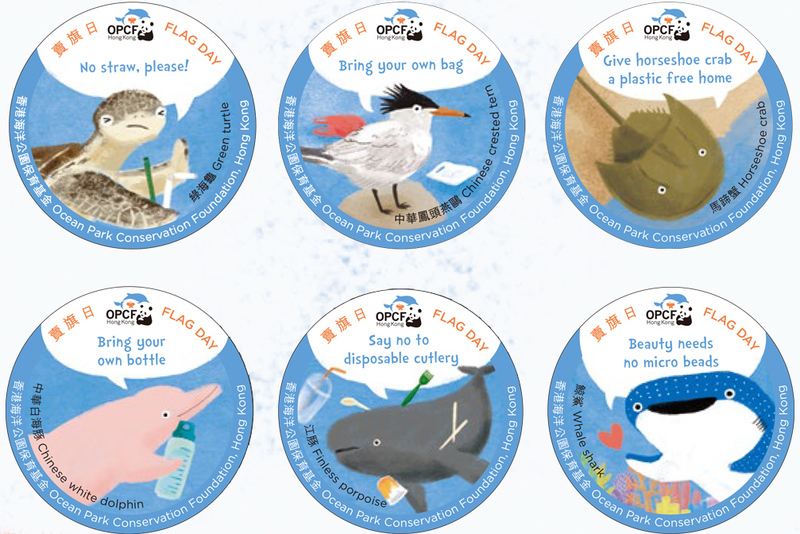 With a donation, you can bring home these beautiful flag stickers. We also need support to help spread the word. If you can help place posters in your office, or are interested to help us raise funds in your office (i.e. passing around the flag bag), please donâ€™t hesitate to contact us at 3923 2534 to discuss. We are pleased to announce that our target of recruiting 4,000 volunteers has been reached, and thus the online registration platform was suspended. Thank you very much for showing your support! To avoid congestion in some districts, we are carefully matching volunteers with the flag stations. Announcement together with the points to note will be sent via email on or before July 20. Please stay tuned for our update. Every dollar you give helps conserve more species through our partnerships, research and awareness campaigns. We have just approved the budget of funding 28 conservation projects in the region for our 2017/18 financial year, and the announcement will be made in July. Your continued generosity goes a long way in saving Asiaâ€™s rich biodiversity. Â©2017 Ocean Park Conservation Foundation, Hong Kong, All rights reserved.